The Indian agricultural ministry has lashed out with a strongly-worded letter against claims by a Harvard professor who declared coconut oil to be ‘pure poison’. While the overall sector is likely to remain largely unaffected, small growers on the eastern seaboard may bear the brunt of the drought. 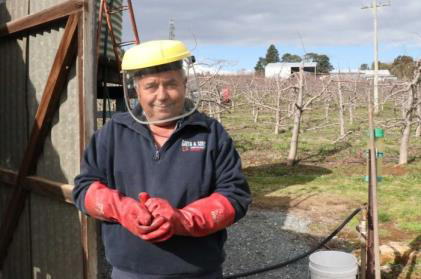 Photo: Farmer Guy Gaeta says glyphosate is an important tool for farmers (ABC News: Sue Lannin). The world's biggest farm chemical company, Bayer, is facing billions of dollars in lawsuits after a US jury found last month the weed killer Roundup caused a school groundsman's cancer. If you’ve got something industry-related to sell, you can reach your target market directly with Olivebiz Classifieds. 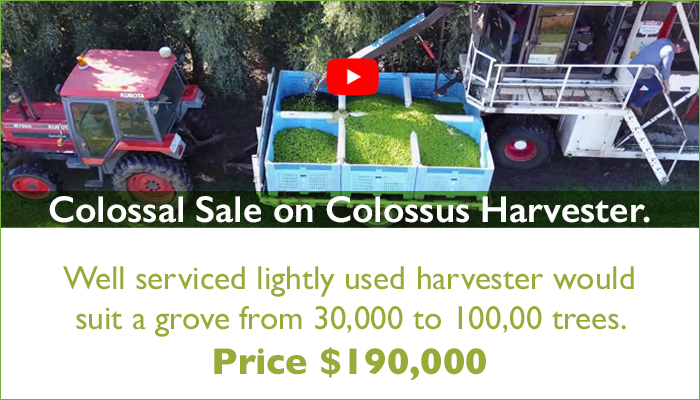 Our online Classifieds service is an easy and inexpensive solution to advertising your unwanted equipment, extra oil - or even your grove - like Peter, who’s holding an auction of olive equipment. And if there’s something you’re looking for, it’s the ideal way to get the message out loud and clear to your peers and industry associates. Olivebiz Classifieds cost just $40 for AOA members ($100 for non-members), including a text ad and link through to either your web page or images hosted on our site. And you don’t need to be a tech-head: just send us your info and we’ll post it up for you. Olivebiz Classifieds are online now at www.olivebiz.com.au/classifieds. To arrange a listing, contact Gerri at editor@olivegrower.com.au. A new study from the University of Melbourne will investigate the adoption of soil moisture monitoring technology in Australian agriculture. You can help by taking part in a 20-30 minute phone interview. More info here. Fiona Makowski of Freshfield Grove Olives with her produce at the Wobbly Boot event. Picture: Matt Thompson. 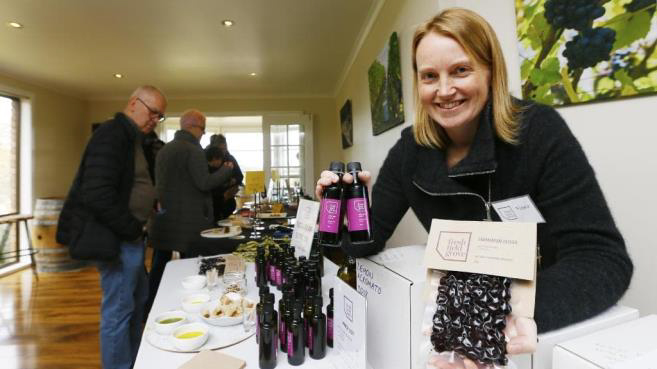 Four food producers - of olive oil, condiments and non-dairy cheese - gathered at Wobbly Boot Vineyard near Campania to showcase their wares over the Father’s Day weekend. A great example of a simple and affordable marketing event – and the media promotion you can get from it! Is butter better? Better than what? 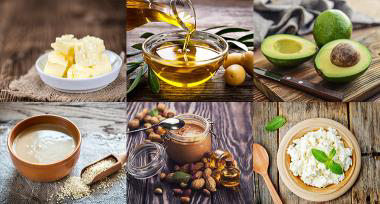 Dietitian Chloe McLeod’s suggested butter alternatives include extra virgin olive oil, avocado, tahini, natural nut butter, and cottage or ricotta cheese. I have recently noticed a resurgence in people recommending butter as a better, healthier option than margarine. But is butter really better? Better than what, exactly? Great advice from a dietician: the top alternative is olive oil – AND she promotes Australia’s high quality oils! Coles launched the $50 million Nurture Fund in April 2015 to help small businesses innovate and grow, with the next round of funding now open. For this round, Coles has pledged to provide $5 million in grants and interest-free loans from the Nurture Fund to help farmers across Australia to combat drought in the future. More information here. Topics: understanding designs and specification sheets; system monitoring – measuring pressures and discharge; system maintenance – flushing, chlorination, acid injection; local research comparing drip and microjet irrigation. Morning tea and lunch are provided and numbers are limited to 20, with registrations taken for additional workshops subject to demand. The Saturday grove walk at Wollundry Grove will provide an opportunity for Q&A with the experts. Grove management will be firmly in focus at the 2018 AOA National Olive Industry Conference & Exhibition, providing information and skills on best practice and research across a broad range of topics. 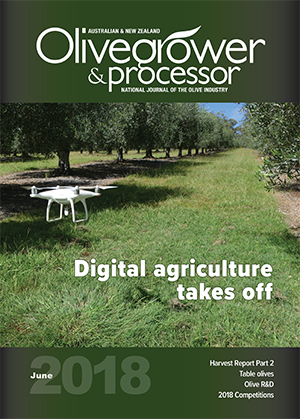 From the Olives New Zealand Focus Grove Project to mechanical harvesting for table olives and the use of drones for grove monitoring, the sessions contain practical take-homes for all participants, while the grove walks will provide an opportunity for Q&A with the experts. Don’t miss the industry’s learning and networking event of the year – register now! And don’t forget, discounted AOA member rates apply. “… the oil all sold within eight weeks of the award” - can you afford not to enter? 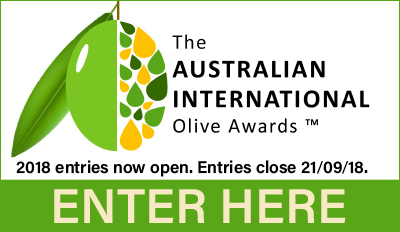 Last week to enter the 2018 Australian International Olive Awards – do it NOW! There’s just one more week to enter the 2018 Australian International Olive Awards, with the chance to be named Champion EVOO and/or Table Olive of Show. Now in its second year with international status, the competition provides the opportunity for producers to showcase their winning EVOO and table olives to the world - and reap the marketing benefits. International entries this year include award-winning Italian and Spanish EVOOs, adding to the prestige of an AIOA major win. 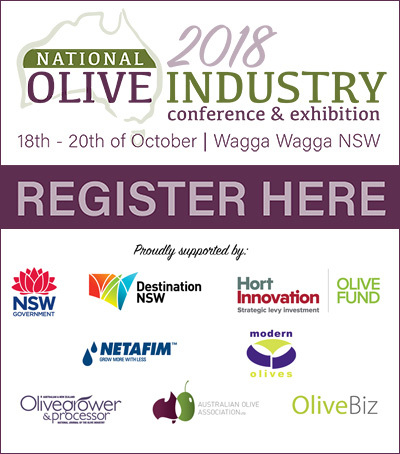 Entries close on September 21 and winners will be announced at the Awards Presentation Dinner on 19 October at Wagga Wagga, being held in conjunction with the 2018 National Olive Industry Conference & Exhibition. More information and enter here. • Friday 12 - Wairarapa . The higher consumption of monounsaturated fat and the lower consumption of saturated fat is one of the main factors behind the longevity benefit of the Mediterranean diet. What are the floating bits in olive oil? Have you ever noticed a bunch of small globs floating in an unopened bottle of olive oil? If you have, there’s no need to bin the bottle. 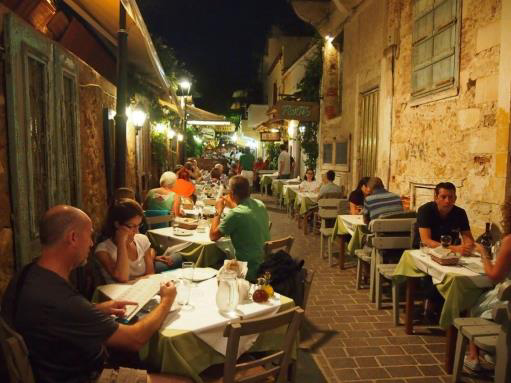 Greece implemented a new rule, which came into effect in January 2018, aiming to stop restaurants, taverns and all eateries from serving olive oil in refillable containers, which in some cases contain oils of inferior quality. Olive oil is Spain’s number one agricultural export and recent data released by the government show that international demand for the product remains robust. While domestic consumption has fallen and some export markets have shrunk, there are good reasons to remain positive about the industry’s future growth prospects. The first half of the year has passed already, with Friday Olive Extracts (FOE) continuing to bring all the latest industry news and events to your Inbox every week. THE place to share olive industry news, event details and reminders, our industry e-newsletter keeps growing in popularity and we now have nearly 4000 subscribers across the globe. If you’re not one of them, you can sign up here. There is a protein in our blood that rises after we eat, especially when we eat foods such as olive oil that are high in unsaturated fats. Now, new research reveals that it plays an important role in preventing a major cause of heart attack and stroke. 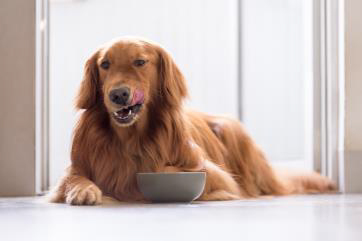 Is olive oil good for dogs? Actually, olive oil for dogs is a great way to enhance your canine companion's diet and beauty regimens — among other benefits! 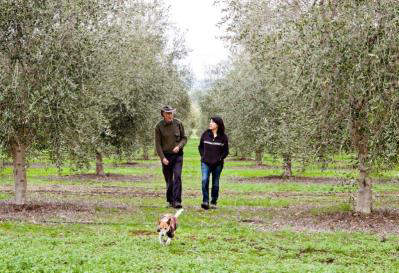 Here's how to best use olive oil for dogs. They don’t mention that it helps treat arthritis in dogs too – Ed. The season now ending was characterized by an upward trend in terms of volume. Now, Italian farmers are looking at the next harvest and its climatic challenges. Experts at We Effect’s partner organisation ESDC warned that the upcoming olive harvest in Palestine will be only half from last year’s, impacting 100,000 families who are in rapid need to counter-act the effects of climate change.